I was standing in the ring when Smackdown came from commercial. I had on some blue jeans, a black tank top and some combat boots. 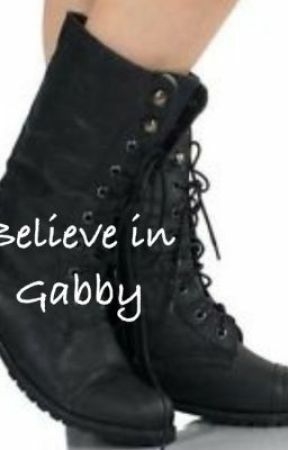 Combat Boots were the best feeling in the world. I put the microphone to my lips and looked at my outfit, "After having to run last week, it scared me to even think about wearing heels to the ring." I tapped the microphone as I continued, "I had a lot of time to think over the past few days," I said, "I kind of just sat back and thought the situation I&apos;m in and it proved to be very beneficial." "Because I don&apos;t like every member of the authority by any means," I said, "In fact, I hate most of their guts to be honest." "I&apos;ll give you an example and hopefully I don&apos;t get in trouble for this," I started pacing, "Summer Rae attacked me from behind last week. That was a very unsmart thing for you to do, Ms. Rae. You haven&apos;t seen at all what I am capable of and you don&apos;t want to see that side of me." "So Summer, since we are on a team now why don&apos;t you get your a** out here and we can speak like professionals," I said as I watched the ramp. I raised the microphone back up, "Come on Summer, don&apos;t be scared, I&apos;m not going to hurt you. Get out here." Instead of Summer coming out, AJ&apos;s music came on. I shook my head full of irritation as AJ started skipping to the ring, championship in hand. AJ got a microphone and slid into the ring. She waved at me. "Hello," AJ said, "Allow me to introduce myself," AJ held her hand out to me, "I&apos;m AJ Lee, the divas champion." I nodded, "I can see that, pip squeak. But it&apos;s obvious that you must be deaf, because I didn&apos;t ask for you to be out here." "I heard you loud and clear," AJ said, "Last Monday we had a tag team match against each other and I was this close to beating the two sell outs until you had to cheat your way into a win." "Oh, I see," I said, "You&apos;re out here to complain, am I right?" I shrugged, "That wouldn&apos;t be the first time, would it?" AJ smiled and mouth OK before saying, "All I&apos;m saying Gabby is that you can&apos;t beat me one on one." I raised an eyebrow and looked at the crowd, "That sounds like a challenge to me. I mean AJ if your so confident why don&apos;t we do whats best for business and put your title on the line!" The crowd cheered as AJ stared at her title in her hand. Before anything else could happen, Paige&apos;s theme came on. I rolled my eyes. "And here comes Paige, former divas champion," Cole said as Paige started walking to the ring. Paige climbed in the ring with a microphone of her own. I watched her with narrowed eyes. "No, No, No, No, No," Paige said as her music ended, "That is not happening, if anyone deserves a title shot its me." The crowd clapped in agreement. "Paige," I said, "You have your opportunity on Sunday." "I deserve a one on one shot match for that divas title," Paige pointed to the title, "Not some screwy triple threat way match." "A triple threat way match?" I asked, "That&apos;s what you mean? A triple threat WAY match." "Stop with your games, Gabby. You know what I mean," Paige said.